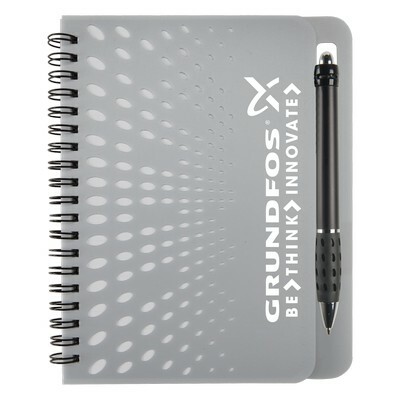 The Far Away 5"x7" Notebook W/Pen features Temecula pen, Customizable with your logo. Good school supplies help the students have a nice year. Ensure that students of any age are ready to hit the books with our all new Far Away 5"x 7" Notebook W/Pen. 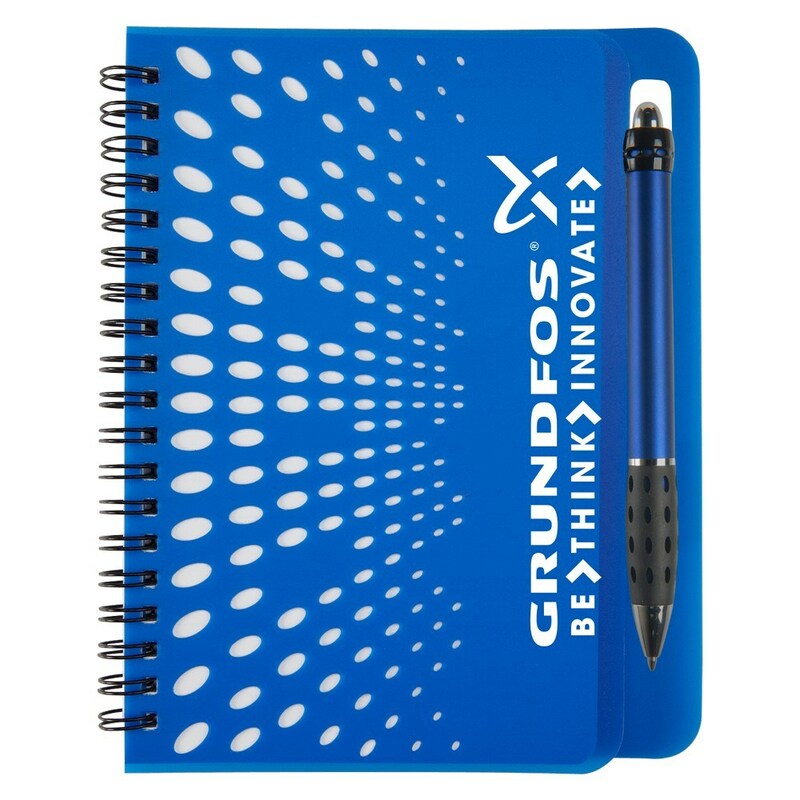 This 70 pages lined custom notebook is ideal for studying, taking notes during lecture and keeping track of assignments and tasks. The imprinted spiral notebook features attractive and unique pattern which catches lot of attention towards the imprint. It also includes a Temecula pen to make it easy note down and study. 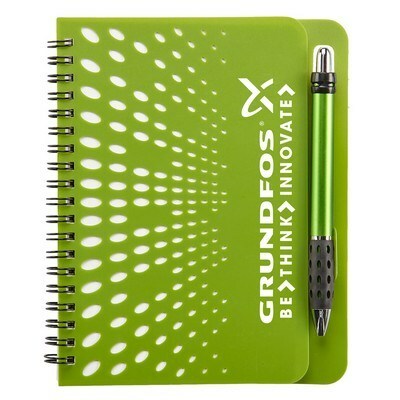 Polyethylene covers on the notebooks ensure durability and long life. Available in various color options, this notebook allows adding brand logo and message for increased visibility and promotion.